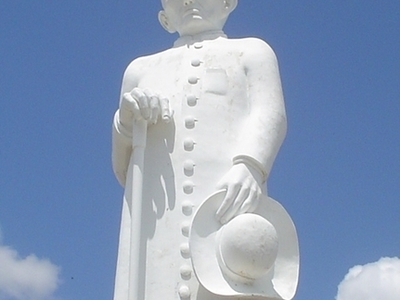 The Statue of Father Cícero on the Garden's hill is a monument built in homage to Father Cícero, located in Juazeiro do Norte, Brazil. The total height of the statue plus the pedestal is 27m. Here's the our members favorite photos of "Monuments in Juazeiro do Norte". Upload your photo of Statue of Father Cícero!